Hello everybody! Just wanted to update the blog with the continuation of my "Mika Doodle Contest" entry from earlier this year. If you missed my previous post about the competition, let me catch you up. 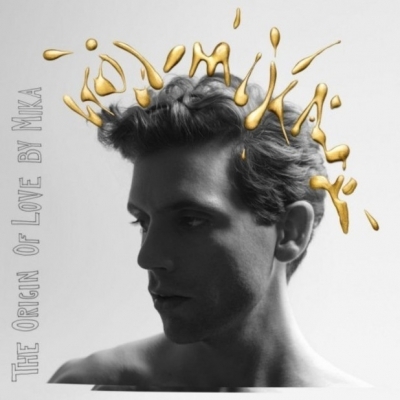 The contest was open to all illustrators, artists and anyone else who wanted to doodle select tracks off the album, "The Origin of Love," that were posted on the MIKA Facebook fan page every week. I made it my mission to submit an entry for EVERY one of the songs posted. This post contains the other half of my entries below!! This track was based off the original tune "Popular," from the musical Wicked. I love the production Wicked and this song sang by Galinda to Elphaba. MIKA's version has a similar melody but the message was less about BECOMING popular and more a stab at the "popular" kids that put down the other kids at school. I resisted the urge to create something girly and cute and based my drawing on the the line that said, "Dunk me in the toilets now it's you that cleans them." Your typical queen bee trades in her tiara for a little janitor's bucket printed with the song title and filled with cleaning solution, a sponge and a toilet brush. Next was a song called, "Love You When I'm Drunk." My doodle depicts the chorus, which is exactly the same as the title of the track. I drew a bottle of whiskey with the lyrics written on the label and a half empty shot glass with heart-shaped ice cubes beside it. The entire drawing is surrounded by little broken hearts because as happy as the melody sounds the theme is pretty depressing. The text was based off of 3 different fonts from my computer. Next up was a track called, "Stardust." My original concept was going to be a silhouette of the singer made of little tiny stars taken as a Polaroid picture. After a few sketches, I was convinced it looked much better as another cartoon Mika instead. As for the colors, I was going for galaxy; purple, dark blues and dark pinks. Once I was done, I realized it looked A LOT like Coraline and her star-covered pajamas. Oops!! I still think it came out pretty good though. I loved the style of the video which starred "Fanny Ardent," dressed in red playing the part of "Emily," that went along with this song. The video's artistic interpretation of the song was spot on but didn't want to translate that too literally into my piece. "Emily" seemed to me from the song, to be a woman under an identity crisis. I wanted to play with the idea of changing identity by illustrating a mannequin head complete with wig and hat labeled "Emily." The curly short haircut and bright red color of the hat tie in with the look of the music video. Elegant yet still fun this is a stand alone piece and an illustration I'm really proud of! When I heard this song for the competition I immediately thought . . . robot! And that's not just because I love robots and think about them 56% of the time I had a valid reason. The line, "all I want to do is make you happy," is constantly repeated throughout the song in mechanical sounding-auto tuned voice. Much like a robot. But this isn't just any robot, this is a MIKABOT. He comes equipped with a bolted-on suspenders, a fancy top hat and a mop of curly locks underneath it. Beep boop beep! The competition wrapped up with a song called, "Underwater." I thought about what could be underwater and came up with an oyster. The oyster is open to reveal a precious pearl, shaped like a heart to symbolize love. I hand-lettered the lyrics, "put your lips on me and I can live underwater," above the piece and added some bubbles to surround the piece. I love challenging myself artistically by entering contests and competitions. And it was fun to see everyone's different interpretations of the songs off the album. Not only that I made some new artist friends along the way!! Hope everyone has a good week!! Ahhhh, I LOVE that robot!! !